FINTECH HYPE IN 2014: HOW CAN BANKS BETTER COMPETE IN THE NEW YEAR? It’s been a busy twelve months in the financial services sector. Between regulatory changes, innovation from alternative players and IT outages, 2014 has not been without its challenges for traditional banks. As we look ahead to 2015, how can banks tackle this increasingly competitive market? This year, alternative financial services players have really stepped up to compete with their larger counterparts. Acknowledging the significance of this burgeoning sector, the government pledged its support in the form of trade body Innovate Finance this summer. We also saw competition stretching beyond new start-up players, with Tesco unveiling its own bank account this year. Responding to increased movement away from high street banking, the retail giant launched an online-only account solution. FinTech activity has not been limited to the UK. The IPO of Silicon Valley based peer-to-peer (P2P) lending platform Lending Club, just this month, suggests that the value of FinTech is being realised across the globe. Meanwhile, banks have come up against a series of challenges this year. The forex scandal that saw a number of banks facing heavy fines led to further bad publicity for many traditional banks, while regulation has increasingly moved in line with new players. The Competition and Markets Authority (CMA) launched an investigation into banking practices, while the Financial Conduct Authority (FCA) vowed to ‘unlock’ FinTech innovation through revised regulations. 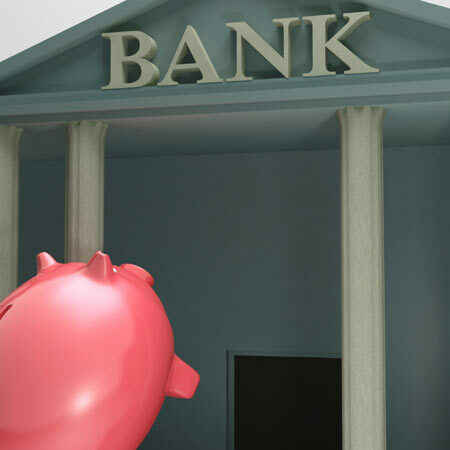 Where do banks fit into the changing financial landscape? FinTech companies have a distinct advantage when it comes to developing innovation that appeals to customers’ increasingly technology-focused expectations. Built on flexible platforms – often on cloud-based technology – these players are able to adapt and evolve quickly in line with the fast pace of the financial landscape. In contrast, traditional banks are relying on outdated IT systems that were developed in a pre-internet era. These systems have become a convoluted mess as banks have added on layers of technology in an effort to modernise. Such legacy issues have surfaced this year, in the form of a series of IT outages, as banks have struggled to cope with today’s financial technology requirements. On many occasions, computer failures have left customers unable to access their online bank accounts or even remove cash from ATMs. Not only is this leading to further reputational damage for mainstream banks, regulators are also starting to clamp down on such inefficiencies and this year the FCA introduced fines to the tune of tens of millions. For now at least, banks are relying on their heritage as a proof point of their credibility and this is a key factor that has helped them to maintain their dominant market position, despite the rise of new entrants. But as this legacy starts to translate into inefficiencies, banks will haveto fundamentally re-think their IT structures if they are to remain competitive. A complete IT overhaul is a costly and risky undertaking, but by separating their technology into core business functions, banks would be able to make isolated improvements. This wouldenable them to offer customers the innovative service they desire, without causing disruptive and reputation-damaging IT outages. For this to work on a wider scale, global banks need to collaborate to develop a new industry standard. By identifying the core IT business functions across the board and figuring out how these functions cooperate using a Service Oriented Architecture (SOA), banks can also identify which areas can be managed by a third party or supported by third party software solutions. This would allow financial services to ensure they are competing on the areas that matter to their bottom line – such as offering competitive loan or mortgage rates – rather than competing on the efficiency of their tech. If banks can gain a full understanding of their business functions and how that fits into IT structures, they can also move their services into the cloud and embrace the full flexibility of technology that is enabling FinTech firms to innovate at such a rapid pace. The future of banking could look like an app store, whereby banks pick and choose the best cloud solutions to meet their business needs. By fully maximising the potential of the cloud, banks could also explore new revenue avenues. An open banking cloud model would enable banks to look beyond traditional products to providing cloud-based solutions to customers – such asoffering alternative cash flow, peer-to-peer financing, foreign exchange, risk management and investment options to businesses. Newer market entrants are certainly creating a lot of noise around their individual areas of expertise, but banks nonetheless still dominate their market with their overarching financial capabilities. While FinTech companies are largely technology-focused – many are founded by technology entrepreneurs – banks have the benefit of a sophisticated financial history to support them. It is important that banks value the privileged position this places them in. Long legacies and heritage may suggest to customers that banks are experts in the field, but banks will have to re-energise their technology capabilities if they are to keep customers satisfied in the New Year.